Did you know that the tattoo industry has been hiding a dirty little secret? Yep, a little thing called cross-contamination, thanks to the machines artists use on a daily basis. Okay, so maybe it’s not such a little secret. Cross-contamination is no joke. It’s actually quite a big deal. In fact, it’s one of the reasons why the tattoo industry is supposed to be monitored and inspected. But when you get down to the nitty-gritty of it—not even most health department inspectors are familiar with this particular little contamination problem. And, if we’re being real, not even many artists or shop owners were aware of it. Cross-contamination in machines has long been an issue, which is part of the reason why disposables began to hit the market. Keeping up with sterility on reusable grips and tubes was becoming too much for busy artists and shops. But with the rise of the pen machine, cross-contamination hit new heights. The inner workings of these machines were unreachable for proper cleaning and their delicate mechanisms were unable to be autoclaved. This left the door open for numerous problems and complications since simply wrapping the machine doesn’t guarantee full protection. But, due to the ease, convenience, and hype of this new tool, many artists turned a blind eye to the glaring issues these pen machines caused. Axys Rotary noticed a problem with these machines immediately and set to work on creating a solution. This February, Axys Rotary will be releasing its game-changer: The Valhalla. As a huge stickler for tattoo cleanliness and regulations, the rumors of this machine caught my ear immediately. And, luckily, I got the chance to get the skinny from the man himself—check it out. “The Valhalla combines the best attributes of all machines available into one package, and then raises the bar on hygiene,” said Axys Rotary CEO Dan Wolf. 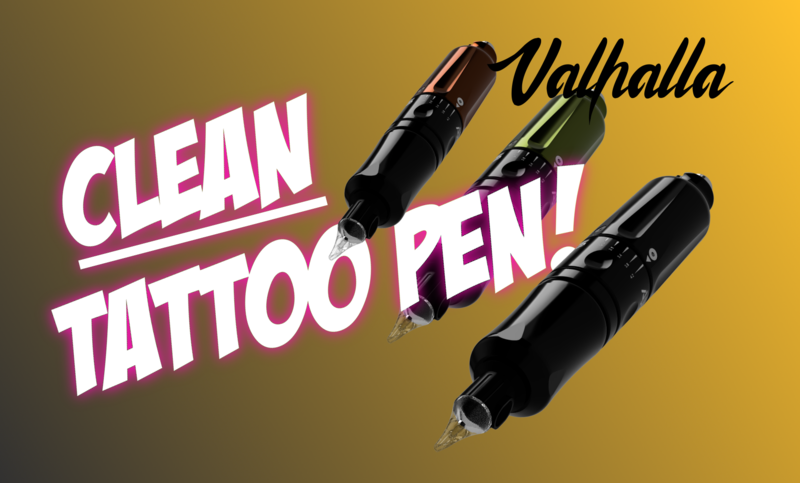 According to Wolf, the Valhalla’s heightened hygiene factor comes from the introduction of the Clean Cap©, which he considers the missing link in tattoo hygiene. 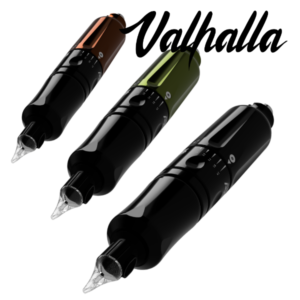 This disposable clean cap allows artists to properly separate their machine from the threat of cross-contamination. This clean cap surrounds the plunger bar, sealing the plunger bar off entirely. The machine itself is streamlined inside and out and is able to be fully dismantled for proper cleaning. It contains no sharp corners or cracks and crevices, making it easy to clean while the single rotation thread prevents any dirt traps. Not to mention, the entire machine can be fully bagged without any loss of function for an additional step of protection. “Lock the barrier in with your membrane cartridge and feel confident, knowing you are using the most hygienic tattoo machine on earth,” Wolf stated. As if the hygiene factor wasn’t enough to make you toss out your old machines and pre-order the Valhalla, there’s an entire additional level of convenience on an artist level. Wolf believes that you should make your machine work for you, not the other way around. And, thanks to this belief, the days of adjusting to your machine are over—the Valhalla has the ability to adapt to you, the artist, in the heat of the moment. Possessing the ability for on the fly stroke adjustment, the Valhalla removes the need for stopping your work to change your machines hit. “No tools, no complication, just seamless control of your machine’s performance,” exclaimed Wolf. Other features include extremely low vibration, cool operation, and a wide range of voltages for many styles of work. “It’s powerful at every voltage,” Wolf said. The machine will be available at launch in three colors—black, olive, and burnt orange—and will come with an autoclavable metal grip. Disposable grips will be available within two months of the release date. Grips (reusable and disposable) will be available in different sizes: 1 inch, 1 ¼ inch, and 1 ½ inch (1″/25mm, 1.25″/32mm, 1.5″/38mm). The machine will run at $590 retail and is currently available for pre-order. You can pre-order your Valhalla by visiting the website. 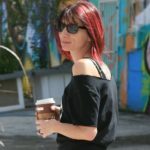 Such nice article I didn’t see in a long time. I was having with choosing rotary tattoo machine, and you have really nice one. And also make good explanations, I hope that you would write much more interesting articles as that one. Also, as great as that one, I found good guns there.